Through the Grizzly Challenge Charter School, students may earn up to 60 credits toward a high school diploma. They also develop goals and make progress toward their individual academic and career plans. The Grizzly Challenge Charter School is a Western Association of Schools & Colleges accredited school authorized by the San Luis Obispo County Office of Education (SLOCOE). All credits earned are transferable into any California public secondary school. All teachers are highly qualified and possess valid California teaching credentials. View our School Accountability Report Card (SARC) here. School assignments and activities prepare cadets to be skilled students and employees. Working independently and collaboratively, cadets will develop their critical thinking and learn to be good communicators. Classroom instruction is infused with several technology based activities. All cadets are issued a Chromebook upon enrollment at the Academy. Support is given to all cadets who are not comfortable or proficient using technology to complete school assignments. Through providing every cadet with a Chromebook and teaching them how to use them productively, we teach them to be technologically proficient, increasing their skills and preparing them for college and/or careers. All students at the academy earn high school credits while attending the charter school. These credits are transferable to any high school. Students may earn up to 60 credits during their 22 weeks in the program. Upon completion of the program, each cadet is given two sets of official transcripts to take with them. Students who arrive at the academy within 60 credits of completing a high school diploma may be eligible to complete their remaining credits and obtain a high school diploma issued by Grizzly Challenge Charter School. 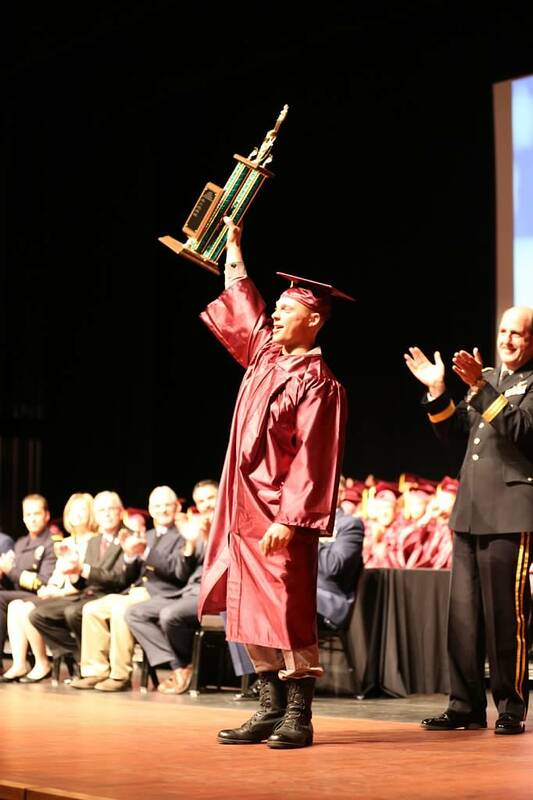 Cadets who are able to complete our diploma requirements will receive their diploma during the commencement ceremonies at the end of the residential phase of the academy. We sponsor a number of events and field trips to enrich our curriculum and integrate our students into the community. Some examples of events/field trips include the Santa Barbara Museum of Art, local beaches and lakes, Hearst Castle, Career Day, Cuesta College, Allan Hancock College, Cal Poly, and the Pacific Conservatory of the Performing Arts. The TABE (Test of Adult Basic Education) is administered to all incoming cadets during the first two weeks of the program. The results of this test provide valuable information to education staff when preparing curriculum and instruction to meet the needs of all students. Cadets are later post-tested with the TABE prior to graduation from the residential phase of the academy. The average academic growth for a student at the academy is 1.0 – 2.0 grade levels as measured by the TABE test. The academy provides job internship experiences for over 50 cadets each cycle. Local businesses have supported Grizzly by providing internship experiences for our cadets. Selected cadets go to work four days a week for four weeks at the end of the cycle and learn first-hand what it is like to have a job. Cadets receive academic credit for this course. Our internships have been at medical offices, law enforcement agencies, college administrative offices, Cal Fire, animal shelters, automotive repair, State Parks, restaurants, computer repair, retail sales, construction, guitar shops, golf courses, and more. We are very grateful to the community for their support of our program and our cadets. SARC – To request a copy mailed to you please call 805.782.6681 or email lwillis@mygya.com.